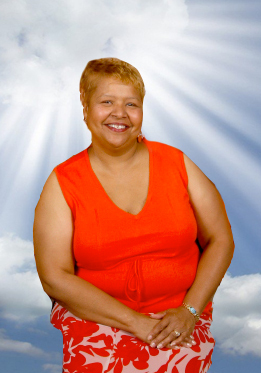 Homegoing Services for Carol E. Davis, 58, of Frankfort, KY will be held on Saturday, September 8, 2012 at 2 p.m., First Baptist Church, 100 Clinton Street, Frankfort. Visitation will be from 1-2 p.m. at the church. Burial will follow services at Sunset Memorial Gardens. She departed this life on Saturday, September 1, 2012 at the UK Hospital after a two year battle with leukemia. A native of Cleveland, OH, she was a retired employee of KHEAA, and previously employed by JCPenney, Kroger, Investors Heritage, and Allied Signal (Bendix) where she worked for 26 years. Carol was a devoted member of First Baptist Church and served in various areas including the Music Ministry, the Trustee Board, the Pulpit Committee, the MIssion Ministry, Bible Study attendee, and wherever she was needed. Survivors include her devoted husband, Billy W. Davis; daughters: Monique Pearson and Carla (Demetrius) Graham-Ware (Nashville, TN); grandchildren: Joshua (Carrie) Smith (San Angelo, TX) and Jeremiah Green; great grandchild: Adrian Smith (San Angelo, TX); godson: Ryan Pearson (Dubuque, IA); and extended family and friends.